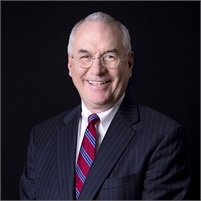 Pat Cunnane brings more than 30 years experience as a corporate retirement specialist serving business owners and individuals seeking objective financial guidance from an investment fiduciary perspective. For more than a decade, he has focused on advising clients throughout major shifts in the financial, economic and retirement plan landscapes. Pat consults with corporations of all sizes, from medical groups to leading manufacturers. He leads a team of experienced financial advisors adept in analyzing each organizations’ retirement plan needs, researching and benchmarking plan providers, and recommending appropriate retirement plan strategies, including 401(k), profit-sharing and defined benefit plans, and SIMPLE and SEP IRAs.